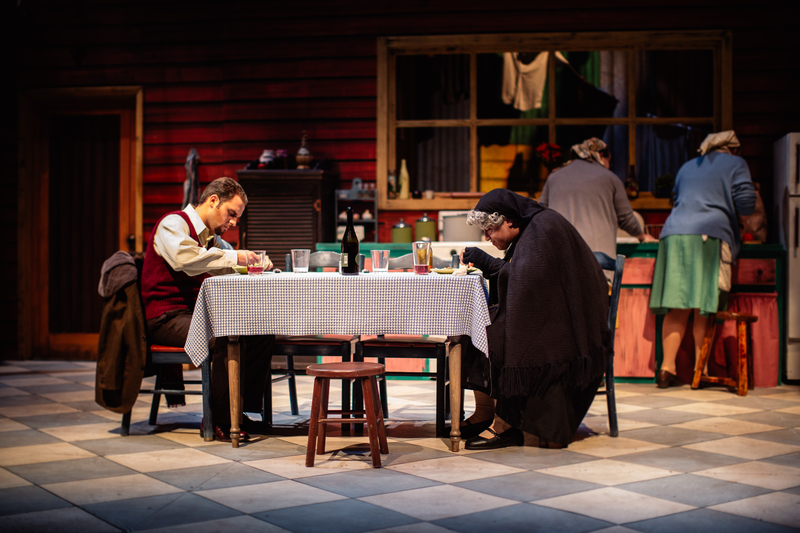 FIU Theatre presented its production of La Nona at the KCACTF regional festival in Statesboro, Georgia in February. 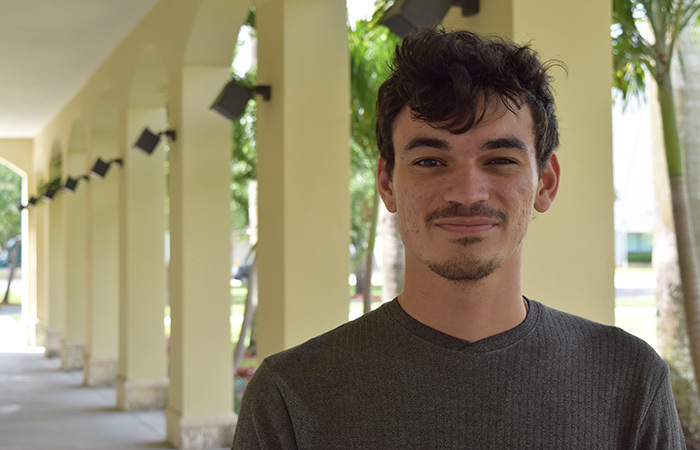 FIU Theatre design senior Mario Alonso will be honored with the national award for Outstanding Scenic Design at the Kennedy Center American College Theater Festival in Washington, D.C., April 18-22. Alonso’s design for La Nona was selected among all of the invited productions presented at the eight regional festivals across the United States in February. His design will be displayed in the gallery, and he will have an opportunity to present his work, as well as attend master workshops and network with other industry professionals. Design senior Mario Alonso will receive the Outstanding Scenic Design Award at the Kennedy Center American College Theater Festival in D.C. this week. The road to D.C. was a long one. Alonso found out he would be designing the set in March of 2016 so he started off as any designer would – by reading the play. Those shapes began taking form in the summer as production deadlines approached. Alonso then focused on the set’s architecture. The walls, beams, doors and windows all had to be drafted and sizes and distances had to be determined. La Nona takes place in 1970s’ La Boca, a neighborhood of Buenos Aires, Argentina. La Boca is known for its bright and colorful buildings, but the characters in the play belong to the desperate working class few tourists see. Working on the show came with its own set of challenges, and Alonso learned by facing them head on. 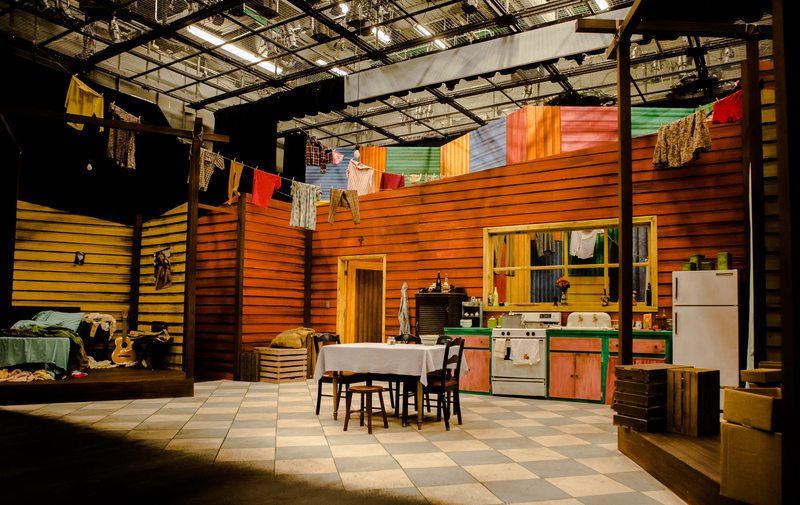 In February, FIU Theatre presented its production of La Nona at the KCACTF regional festival in Statesboro, Georgia. Alonso’s set was transported up to the festival in two moving trucks and built on the large stage at Georgia Southern University. During his time at FIU, Alonso had many opportunities to learn and grow not just in the classroom, but by designing for many of the department productions. Aside from his two scenic designs (La Nona and Kingdom City), he also had an opportunity to design lights (Rumors), sound (Juanita’s Statue, Two Gentlemen of Verona), and props (Little Shop of Horrors). Alonso joined the theatre department as a lighting designer, but quickly started discovering a greater affinity toward scenic design.